Will those of us who bought AoD from the site (or BMT I guess) be getting Steam keys by any chance? It's certainly not a big deal (for me) if we don't, but I figured it wouldn't hurt to ask. Incidentally if this was asked already I apologize, I didn't see any topics on it. For that matter the announcement was made only a couple of hours ago. Certainly. Give us a day or two to figure it out how it works. For people who get the demo, if they play and complete the demo is it possible for that save game to transfer to the full early release version if they buy it? Would be a good idea to advertise that on the store page. Looking forward to getting a steam key! Happy to see this happening, now I can advertise and get AoD for my friends. More profits for everyone! 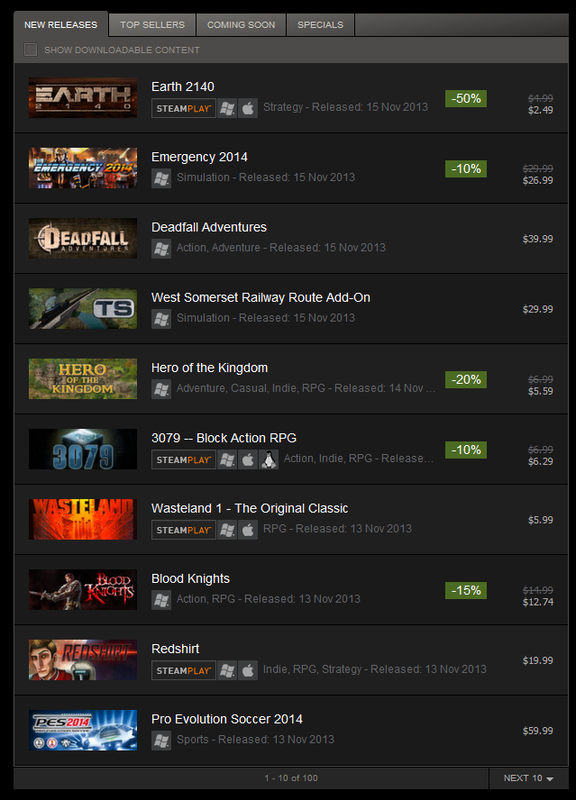 As of last week, Early Access games are no longer featured on Steam's front page. I think Blackguards was the last one to show up. Guys, anyone who doesn't have the game on Steam can confirm that the demo work now? Thanks! Strange. I can see some new early access games like zomboid and space engineers. I mean in the "New Releases" tab. How unfortunate. I really hope the game sells well. Thanks for the reply! I'm going to go drop my name in Vince's thread so I'm not overlooked .